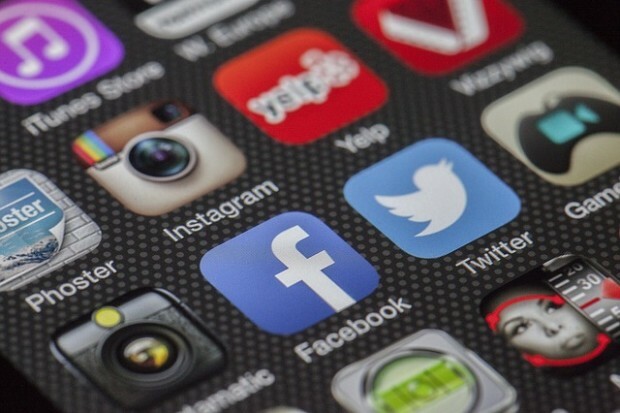 Written by Nicole Kohler on June 19, 2015 Blog, Social media. If you’re new to the world of eCommerce, chances are pretty good that you’ve at least considered creating one or more social media profiles for your brand. Social media changes like the wind, and if you think a Facebook Page is all you need to reach your customers… well, you might be in for a surprise. There are ever increasing possibilities. Each network has its own perks and perils, not to mention guidelines to follow. Today, we’re going to talk about how to decide which social media platforms are the right fit for marketing your eCommerce business. We’ll cover why it’s so important to choose carefully, and then look closely at major platforms like Facebook, Twitter, Pinterest, and more so you can evaluate whether or not they’re a good fit for you. As a store owner, your time is precious. There are plenty of other things you have to do without throwing social media into the mix. But because it’s become such a crucial part of any well-rounded marketing plan, and your presence is expected by your customers, it’s a necessity for your business. You should only use the networks that are the best fit for your customers and your business. There’s no rule that says you have to have a presence on each and every social media network, however. In fact, for some stores, it would be considered a waste of time to have a Pinterest page or a LinkedIn profile, because their customers simply don’t use those apps or networks. And wasting time is something you absolutely need to avoid, because it keeps you from focusing on the activities that earn you the most amount of money. That’s why it’s so important to choose the right social media networks for your business. Choosing the networks where you have the best chance at connecting with your target audience, or even your existing customers, means you’ll waste less time and make more money. You won’t have to fight as hard to see results, either. Think of it as picking the “path of least resistance” — where can you go that you’ll have to do the least amount of work to see the most return? By evaluating each network carefully, and choosing the right ones for you — where your customers already are, and where your business fits best — you’ll be able to maximize your time and ensure your efforts result in a return on investment. With that in mind, here are some things to consider for each major social media platform, from who uses each one to what kinds of content succeed on them. 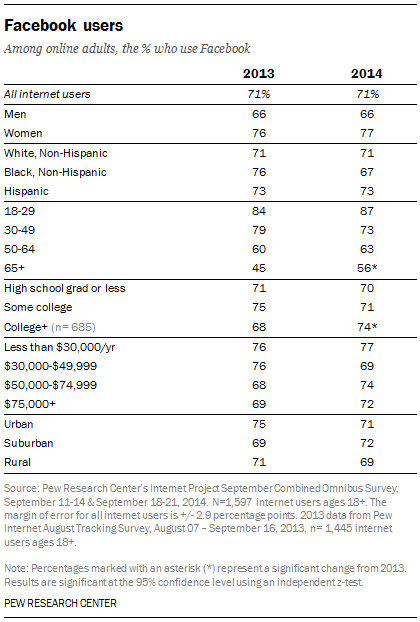 According to the Pew Research Center, 71% of all adult Internet users say they use Facebook. As you no doubt already realize, this network intended for connecting friends and family members together has an enormous reach and vastly widespread usage. However, for brands using it to connect with their customers, things are not always so easy. Over the last two years, Facebook has slowly reduced the organic reach of Pages. This has drastically limited the exposure that their posts receive in the News Feed, a change so ire-inducing that the network had to publish a FAQ about it. Some reports estimate that most organic brand posts are now able to reach just 2% of their users. This means fewer views, fewer clicks, and far less revenue from the products or content you post about on your Page. This doesn’t mean that you should give up on Facebook, however. If you’ve built up a Page full of Likes, or you’re finding that your existing page is still accumulating new fans at a steady clip, you can certainly take advantage of this audience. But the best way to do it is through promoted posts or remarketing ads. Now that Facebook has become unreliable for delivering even your most interesting content and product news to customers, the best usage of this platform is to deliver your most important news through paid means. This might mean boosting a post on your page — that is, paying to push it into News Feeds. Or it might mean specifically targeting website visitors with an ad urging them to return to your site so they don’t miss out on a good deal. 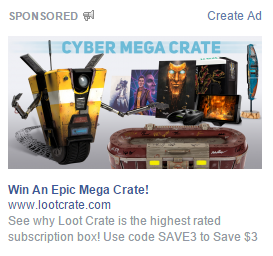 An example of a Facebook ad. The good thing about this kind of Facebook usage is that any brand can do it with about the same chance of success. Also, boosted posts and remarketing ads are shown to existing fans and those who have already visited your website, respectively, so it’s highly targeted, relevant content — much more relevant than an ad shown to someone who has never heard of your brand before. The downside, of course, is that you have to pay for advertising. But with the right content, these ads can convert very well, and potentially make you a lot of revenue. 19% of the entire adult population currently uses Twitter, according to Pew research, and most of them under age 50. This network, which limits your updates to 140 characters, has long been used by brands if only because so many of their customers use it. But does every brand need to be on Twitter? Or do certain companies find more success here than others? Rather than specific types of brands finding success on Twitter, it appears that specific types of brand content determine how successful you are on this network. 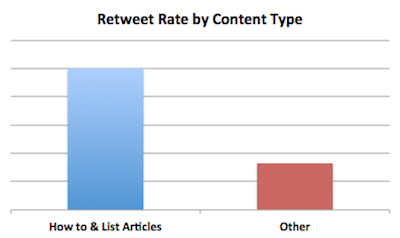 One study found that images outperformed video, links to how-to and list blog posts outperformed all others in terms of the number of retweets received, and that users who tweeted quotes had 43% more followers than those who did not. So if your eCommerce brand — regardless of what it is you actually sell — tweets links to interesting content, posts images, and occasionally offers inspirational quotes (provided they have something to do with your company, that is), you seem to have a better chance at attracting clicks, retweets, and followers than brands who do none of this. All this aside, Twitter is really the best place for a brand to have a conversation with its customers. Because the platform is so accessible and widely-used, and it takes far less time to compose a tweet than an email, you’re likely to receive questions, comments, and complaints here. If you answer quickly and appropriately, research shows that this good experience may help motivate more sales. Be prepared to watch those @mentions and respond appropriately! Finally, due to the speed factor mentioned above, some brands choose to use Twitter as a dedicated support channel. This isn’t for everyone, but if you sell electronics or other products that have a high risk of needing service, you might find it useful to set up an account if only so you can help your customers solve their problems efficiently. Pinterest, the network that allows you to search for, discover, and save “creative ideas” in the form of pinned images, continues to grow year after year. The latest statistics indicate that approximately 28% of adult Internet users use this site. This may seem unimpressive on its own, but what’s really significant about Pinterest is who uses it. According to eMarketer, 85% of Pinterest’s total audience is made up of women. 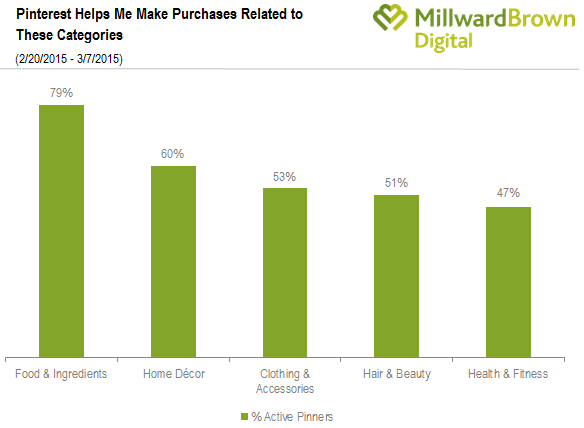 Finally, take a look at this Millward Brown research, which shows that Pinterest users — 87% of which have purchased something they found on the site! — say they use the site to find products to buy from five main categories: food, home decor, clothing/accessories, hair/beauty, and health/fitness. What does this mean for your brand? Well, if your online store offers products in any of these five categories, you’re probably going to find that Pinterest is a natural fit for you. Users are mostly likely to discover and repin content from these categories with the intent of later making purchases, so if the pins you’re providing are attractive and unique, you have the potential to see higher purchases from Pinterest than any other network. Additionally, because so many of this network’s users create long-lasting wishlists and inspiration boards, you’re likely to see the same pin get passed around and clicked on much, much longer than you would a Facebook or Twitter post. So if your brand falls into one of these five categories, try some advanced tactics to improve the data included with your pins to ensure they last as long as possible, and drive a high amount of clicks and conversions for your store. Almost half of Instagram‘s 300 million monthly active users log in daily, according to the latest research on this growing photo-based social media network. Instagram’s frequent usage by consumers, simple system for publishing photos, and relative friendliness to brands — no posts are ever filtered, hidden, or shown out of order in your feed — make it an ideal pick for many eCommerce companies. But what kinds of brands will find the most success on Instagram? Much of any user’s popularity on this platform will depend on the content and quality of their photos. As such, if you lack physical goods, have trouble taking photos of your products, or only sell a few items, you may struggle to find success after joining this network. Instagram works best for those with a wide variety of products that lend themselves to photographs. What does this mean for you? Well, if you offer clothing or accessories that can be modeled, products that can be staged, or items that go together in a collection (as IKEA’s do, shown above), you’ll have no trouble taking beautiful photos for this network. You can also find success if your product lends itself well to “stories,” like GoPro, or attracts customers to share their own photos using a unified hashtag. If you don’t sell physical goods, or have a limited number of products, all hope is not lost. But you’ll need to invest in some creative strategies if you want Instagram to work for you. User generated content is usually the way to go in this case, and you can read more about how to curate and use it here. LinkedIn is currently used by around 28% of all online adults. It’s the only social network where its users are more likely to be age 30-64 than in the 18-29 range, and it’s mostly populated by those who are college graduates. This network is tricky for brands. Because most users rely on LinkedIn for career-related items — connecting with colleagues, finding jobs, and occasionally reading content — content that isn’t related to your company may fall flat. LinkedIn’s Company Pages are actually intended to attract job seekers and those interested in your brand, so this is the one time that it can be beneficial to talk about yourself a lot. Due to this, LinkedIn is best used for the purpose of attracting people to your company from a business standpoint. It’s not likely that users will follow you here because they want to buy from you — they are much more likely to follow you because they want to work at your company, or do business with you in some other way. Posting company news, information on your culture, or sharing job openings will help you create the right image here. It’s easy to get caught up in social media trends. With each new and emerging network, you’re probably curious and eager to try each hot new app for yourself. But before you start sending snaps to customers or streaming live video for your website visitors, think carefully about the long-term benefits of each of these emerging or niche networks. One important fact that you should especially be aware of is that new social networks often emerge without any kind of brand standards, guidelines, or features. Because they’re created with users in mind, not companies, brand features are often introduced much later, and they might restrict the your activities, or even put an abrupt end to a new source of revenue you’ve come to depend on. Again, as we said before, your time is precious. Don’t invest in a social media network simply because it sounds cool or is trending. Invest in one that your target audience is attracted to, has set standards for brands, and has clear long-term benefits for your company, like increased revenue or easier communication with customers. Choosing the right social media platforms on which to promote your eCommerce brand can be tricky. Going into it, you might be fearful of investing a lot of time and seeing little to no return, or spending advertising dollars that don’t result in purchases. But by doing your research beforehand and knowing what each platform can do for you, you stand a much better chance of succeeding on social than a brand that signs up for every option under the sun. We hope the tips in this post have given you a good starting point for choosing how to launch your social media presence. If you have any additional questions about picking the right networks for your business, hit us up in the comments. I like to promote WordPress Themes on Facebook and Diigo. For Facebook, hashtag is great idea to put your themes in right place. 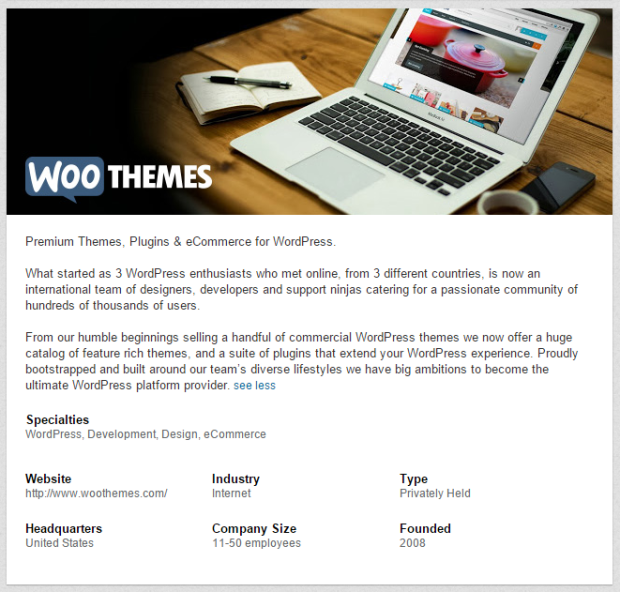 For Diigo, you can post your favourite themes in WordPress themes group. Wow! What a comprehensive information on marketing on social media. It will definitely help people including me to promote their products or services. Facebook may be the best option for me and your another article “A Beginner’s Guide to Using Facebook Remarketing for eCommerce” will be helpful. Thanks Nicole for sharing.